Is what Beyoncé said on her website as she announced the reunion of Destiny's Child. The girl group which consisted of Beyoncé, Kelly Rowland and Michelle Williams are reuniting for the first time in eight years! With rumours circulating that Destiny's Child will be releasing a new album in 2012, they've confirmed it for themselves in 2013. Their new album will be called Love Songs and features their greatest love songs from the girls such as 'Cater 2 U', 'Brown Eyes', 'Emotion', 'Say My Name' to name a few from their 1997 - 2004 albums. Including a new 2013 song 'Nuclear' which was produced by Pharrell who co-wrote the track alongside Michelle Williams, James Fauntleroy and Lonny Bereal the song features vocal production from Beyoncé, Kelly and Michelle as well as from Lonny Bereal. Destiny's Child are also set to reunite at this years half time Superbowl which Beyoncé will be headlining. 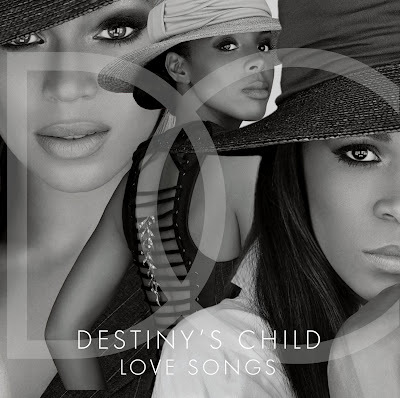 As a HUGE fan of Destiny's Child - I am BEYOND excited for this new album, especially the new song! You can pre-order the album on Amazon today and will be available to buy on January 29. Beyoncé, Kelly and Michelle will be performing at Superbowl on February 3.